This couldn’t be more timely for me! 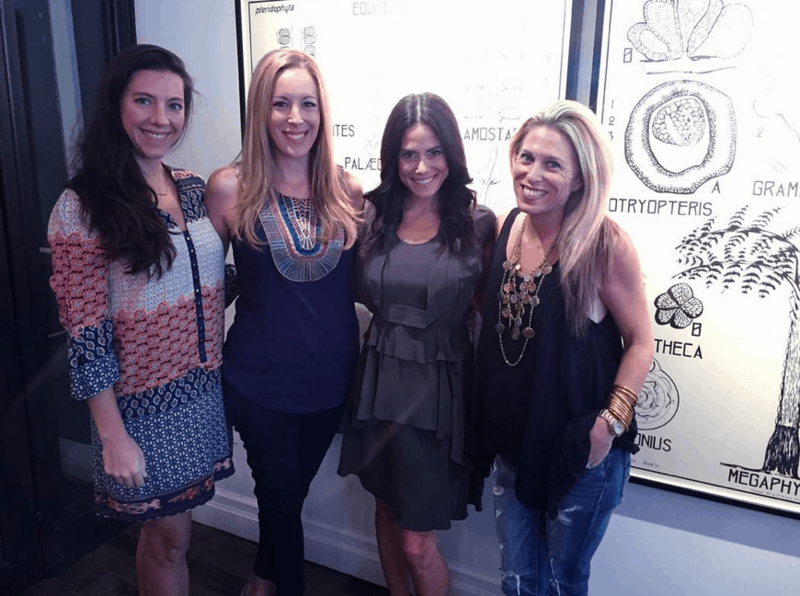 I had a chance to sit down with Keri Glassman last week thanks to Ocean Spray. The nutritionist has teamed up with the brand to talk about their new PACt® Cranberry Extract Water. The wellness advice I heard during our time together was truly informative and I am looking at my healthy in an entirely new light! Keri is the creator of http://nutritiouslife.com/ and her philosophies have landed her writing gigs in almost every major outlet you can think of! I HIGHLY encourage you to check out her website to read her well rounded approach. It isn’t just about diet and exercise for Keri. In fact, she believes it all ties in!! Again, visit Nutritious Life or follow her on social to learn more. I’m actually going to head out and buy her book to really get into her methodology. 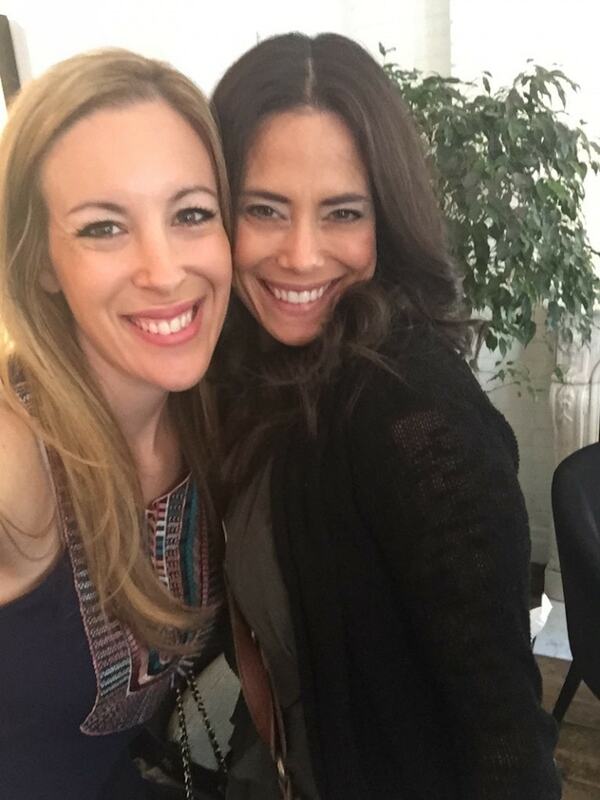 After speaking with Keri last week, I am dying to learn more! Keri teamed up with Ocean Spray because it just made sense. 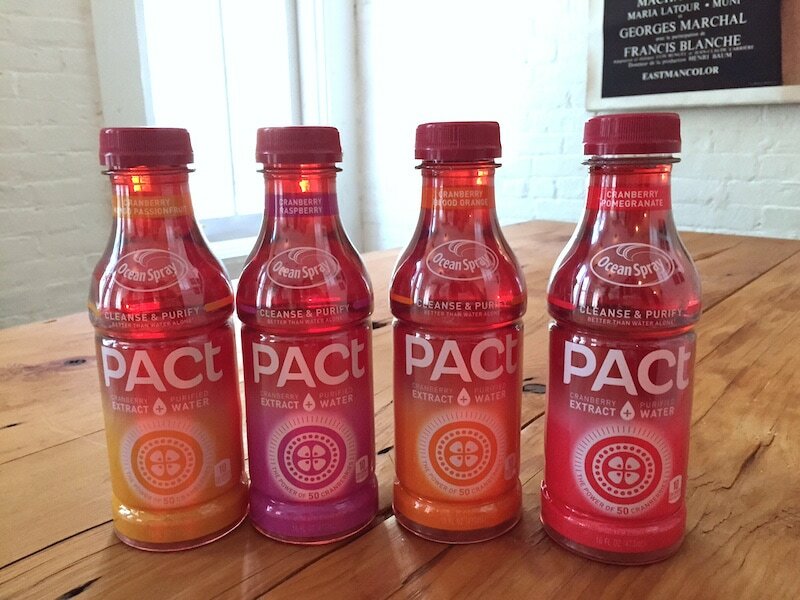 She’s been talking about antioxidants for years and their new PACt® Cranberry Extract Water is filled with them. In case you haven’t heard, PACt® cranberry extract water is a new water from Ocean Spray® that helps cleanse and purify your body better than water alone. I asked Keri how the partnership began and she said it fell in line with one of her Nutritious Life pillars. Keri Glassman: I had been talking about antioxidants for years. I don’t know if you remember when I wrote a book called the O2 Diet where I focused really heavily on antioxidants. So, cranberries have always been a huge food that I’ve just loved, because of, obviously, all the super power antioxidant and anti-inflammatory benefits. So, when I met up with Ocean Spray, I thought the product was really cool, because Drinking Up, obviously, is a big pillar of a Nutritious Life. And what’s amazing about PACt is that it contains PACs that have been added to water. PACs are those compounds found deep inside the cranberry that helps to cleanse and purify the body, and they act as antioxidants and anti-inflammatory agents. So, I just thought it was a really interesting product with great antioxidant value and goes right along, again, with one of the Pillars of a Nutritious Life, Drinking Up. We filmed a bit of our interview for YouTube, but we continued our conversation offline for the blog. I really wanted to chat all day. My head is SO FOCUSED on health and wellness these days – ever since I found out a few weeks ago about my auto-immune disease. It’s like everything has changed for me. We are heading into the Fall. Is it still important to stay hydrated during the colder months? Keri Glassman: It’s not that it’s more important in the fall than it is in the summer. It’s not more important at all. It’s just that it’s equally important. The reason we emphasize it more is because don’t do it as much in the fall. Most people hydrate more in the summer and they’re thinking about it more and it’s sort of being jammed down into their heads. Drink, drink, drink. It’s hot out. You’re gonna have heat stroke, you know? People are talking about it more and we feel more thirsty. In the fall, when the temperature’s dropping in the winter and you don’t feel as thirsty (because you’re not sitting there outside sweating). So, again, it’s not that it’s more important. It’s that we don’t do as good of a job at hydrating our self. So, we need to be reminded. The reason it’s so important is being hydrated 365 days a year is important for everything from digestion to energy to metabolism to your skin health. It’s important for all of these reasons, so we have to remember to do it all throughout the year. What is the passion behind creating this nutritious life? Keri Glassman: In 7th grade science class I said to my friend, I need almonds. My body must really need Vitamin E. She said you are the biggest nerd ever. I definitely didn’t know what Vitamin E did or was, but obviously I’d read it somewhere and I just had this interest. So, cleary there was a connection. There was just an innate interest. It was just something I was always passionate about. And, like I mentioned before, I was an athlete, so there was always a little bit of an interest in sort of fueling your body properly. And I always had interest in food. I always enjoyed food. I mean who doesn’t enjoy food. [CHUCKLES] But I enjoyed being in the kitchen. And so, I just always had a really big passion for really maintaining a healthy body weight, which, of course, when I gained weight in college and had a lot of fun in my twenties, I did become even more interested in that. But also I had an innate interest in just how you fuel your body best and really the science behind it all. So, I really always had that interest. And then, I’ll spare you, because of the whole career path, but, I was born to do this. Does food affect our mood? Keri Glassman: Food absolutely affects mood, I mean from so many, so many different levels. I mean one thing, first of all, what you’re eating. I mean there’s a lot of different ways to eat, but let’s just start with the most simple. Think about when you don’t — when you haven’t eaten and you have low blood sugar and you’re irritable, right? You’re irritable. You’re cranky. That’s like the most basic. So, eating foods that are high in fiber and control your blood sugar, you stay fuller longer. You’re more satisfied. Protein keeps you more satisfied as well. That alone can help just control your mood. But then other foods that also affect your mood are gonna be things like, Omega-3s: for example, fatty fish, like salmon and flax, things with Omega-3s, walnuts. Those are also going to affect your mood. There’s actually a little bit of Omega-3s in the seed of the cranberry, which is actually kind of cool. Most people don’t think of that. Omega-3s affect your mood cognition. That’s why they’re so important during the third trimester of pregnancy. Omega-3s are hugely important. And then antioxidants in general help fight inflammation on the brain. So, that’s also important for longer term, you know, mood and mind connection. And then there’s also — Vitamin C helps reduce stress. There’s so many different factors for your nutrition and mood. And sugar, we know, increases inflammation and is bad for your mood. When you say “no added sugar”, do you also mean no bread? Keri Glassman: That’s a really good question. So, yeah, so something like white bread, you have to think of a slice of white bread like basically eating jelly beans. It’s gonna break right down. When you chew it, if you chew it in your mouth, think about how it chews, chews, chews, chews – it’ll taste sweet. White bread is basically – the most simple way to think about it is that it really just breaks down. It just takes a little bit longer, but it breaks down into jelly beans pretty much. It’s really the same thing. It’s really just sugar. So, whole wheat bread, I mean first of all, there’s some really junky whole wheat breads that have a lot of added sugar and artificial colors and are yuck. So, there’s a lot of that in whole wheat breads, but let’s just pretend it’s a great whole grain, you know 100 percent whole grain bread. Let’s say it’s like a great one, that still, if it’s carbohydrates, it eventually breaks down, but it’s got fiber in it. It’s got protein in it. It’s got a lot of vitamins and minerals. That’s okay. There’s no added sugar. But still it breaks down. Whole — regular white bread, again, breaks down faster and it’s basically just pure sugar. So, when I say no sugar, I mean no added sugar, like, the obvious candy, cakes, cookies, but I also mean no refined carbohydrate products that are all sugar, like white pasta, bread, and rice. When they use the term “superfood” to describe almonds, for example, would this be the superfood equivalent? Keri Glassman: That’s a good way to think about it. 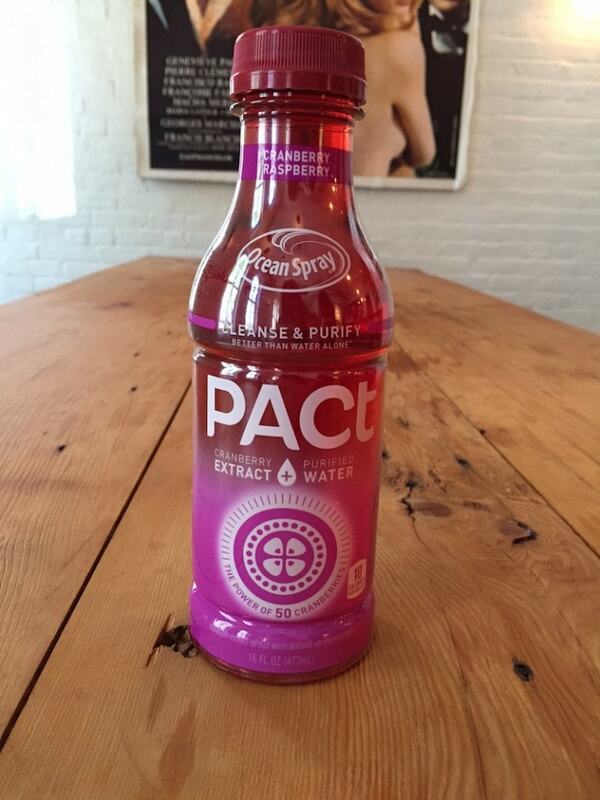 Now, let’s talk a bit more about Ocean Spray’s newest product – PACt. PACs, or proanthocyanidins, are natural elements found in cranberries. Cranberries contain unique A-type PACs, which naturally cleanse and purify the body by preventing certain harmful bacteria from sticking, allowing them to be naturally flushed from the body. For more information, visit Ocean Spray. I’ve teamed up with Ocean Spray to help spread the word about PACt. All opinions are my own.